Located in the northwest of England in Merseyside, Birkenhead is a town on the Wirral Peninsula. Lying on the west bank of the River Mersey, Birkenhead has a population of approximately 90,000. At My Home Move Conveyancing we have been improving our knowledge of local property markets since 2002, enabling us to bring our clients in Birkenhead a specialist, fixed fee conveyancing service. You’ll need to instruct the services of a lawyer to complete the legal work on your behalf when buying or selling property in Birkenhead. 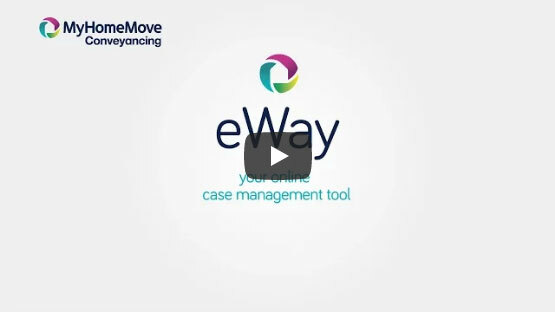 Let My Home Move Conveyancing do this for you as your Birkenhead conveyancers, and take advantage of our award winning customer service, innovative use of technology and detailed knowledge of the local market. Our conveyancing service comes for a fixed fee, meaning there are no extra hidden costs to worry about. If for some reason you don’t end up moving, you won’t have to pay us a thing in legal costs. You will be assigned a dedicated conveyancer who will look after your case from start to finish, providing you with regular updates to complement the online access you will have to your account with us. At My Home Move Conveyancing we are pleased to supply our conveyancing services in Birkenhead to customers purchasing homes across the area, including those in North Birkenhead, Claughton or clients looking for something with easy access to Birkenhead Park. The average house price on the Wirral is £122,047, while the overall average sale price in Birkenhead during the last 12 months was £101,429. Most sales in the area involved terraced properties, which went for an average of £77,280. Semi-detached properties averaged at £132,583, flats at £81,976 and the small number of detached properties at £267,556. Birkenhead was first recorded when the Mersey Ferry began service in the 12th century, carrying passengers between Liverpool and the Wirral Peninsula. The town remained agricultural until steam ferry services began in the early part of the 19th century, and Birkenhead prospered during the Industrial Revolution and thanks to its importance in shipbuilding. The modern town is equipped with plenty of amenities such as the Pyramids shopping centre in addition to pleasant green spaces such as BIrkenhead Park and Victoria Park. Birkenhead also boasts a number of highly rated schools for families with children to consider, with primary options including Our Lady and St Edward’s Catholic Primary, Portland Primary and Woodchurch Road Primary. Choices at secondary level include Birkenhead Park School, Birkenhead High School Academy and Cavendish Street’s Kilgarth School, while Wirral Metropolitan College offers further and higher education facilities. There are a number of rail stations in Birkenhead - including Birkenhead Central, Hamilton Square and Birkenhead Park - and it takes as little as 10 minutes to get to Liverpool. The A562 road serves the town centre, heading west towards the M53 motorway, which runs southeast to Ellesmere Port, Chester and the M56. Birkenhead also has a heritage tramway that operates on Saturday and Sunday afternoons, and bank and school holidays. All properties in Birkenhead will fall within one of the following council tax bands.